It's not just for stews, pot roasts and beans—try something different with your electric pressure cooker, like making homemade broths and stocks in half the time. If you own an Instant Pot, you already know it's great for tough pieces of meat like pork shoulder and short ribs, and it makes soups and stews a cinch. Through the magic of pressure, the multi-cooker churns out hearty meals in a fraction of the time compared to traditional cooking methods, and it's easy and convenient to use. But even if you're switching on your Instant Pot multiple times a week, chances are you aren't using your cooker to its full extent. Below are five dishes that you should be making in your Instant Pot. Homemade broths and stocks kick dishes up a notch, and they're faster and easier with an Instant Pot. Use up limp veggies and chicken bones, or toss your leftover odds and ends (onion peels and ends, carrot peels, etc.) in a freezer bag and make a batch of stock once it's full. The finished stock freezes well and will add depth of flavor to your grains, soups, beans and braises. 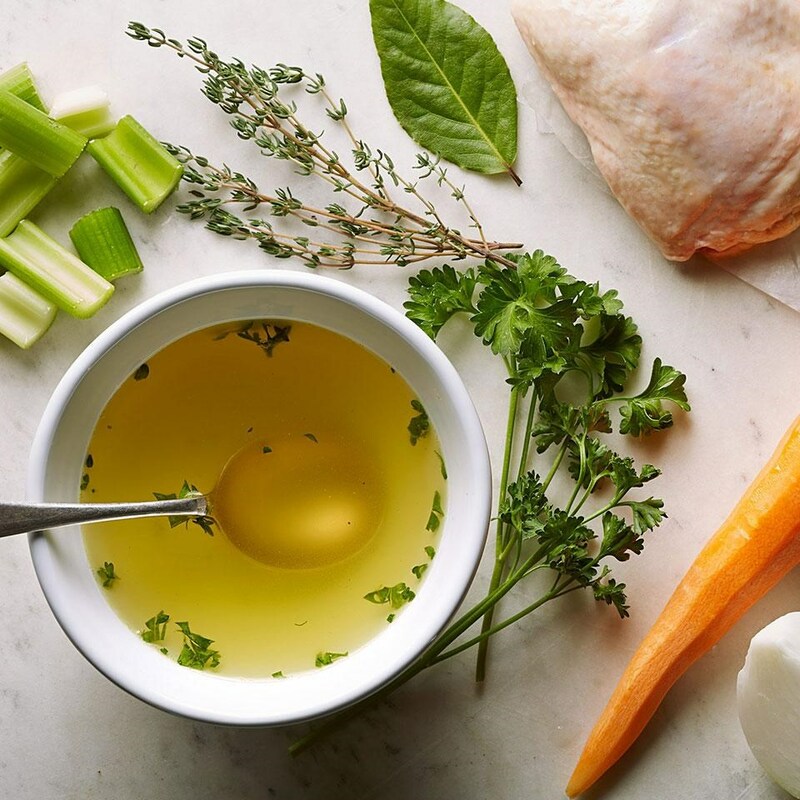 Use your favorite stock recipe and reduce the water by about half, or until the ingredients are just covered with water. Since almost nothing evaporates when using an electric pressure cooker, you want to start with less water to keep the flavor concentrated. Be careful not to overfill your cooker—don't exceed the max line. Or go off book: add bones or carcass (optional), onion, celery, carrot and other veg like tomato, mushrooms and parsley. Avoid too many cruciferous veggies, like cabbage and broccoli, since they can make your broth bitter. Toss in a bay leaf and a sprinkle of salt and add water until everything is just submerged. Cook at high pressure for 1 hour and use a natural release. Hard-boiled eggs make a great, high-protein snack, and are the starting point for everyone's favorite appetizer: deviled eggs. 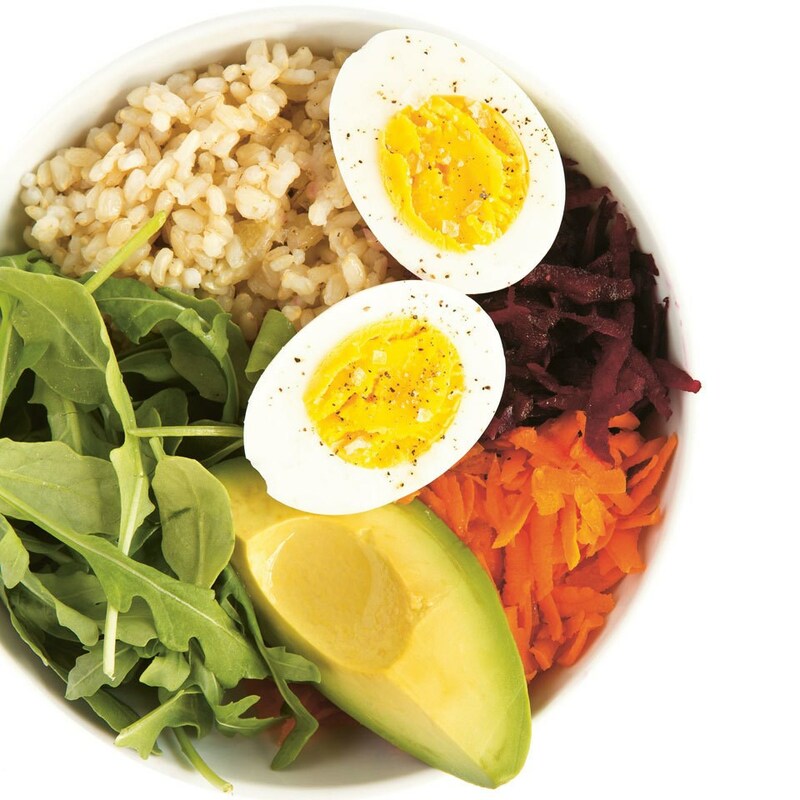 Soft-boiled eggs are a delicious breakfast served on toast, with extra toast for dipping into the runny yolk, or sitting atop a bowl of ramen. And while eggs don't take long to cook, it can be tricky to cook them the right length of time—and sticky peels are a real pain. Making them in the Instant Pot means the eggs will cook to the desired consistency under controlled conditions, and because they are steamed, the eggs are easier to peel. Plus, it's perfect for meal-prepping a whole bunch at once. You can make one egg or a dozen, it's the same cook time. To "boil" eggs using your Instant Pot, add 1 cup of water to the inner pot. Add a steamer basket or trivet and place your eggs on top, being careful not to let them touch the sides of the pot. You can pile them up if needed. Secure the lid and cook at low pressure for 4 minutes for soft-boiled or 8 minutes for hard-boiled. As soon as the cook time has elapsed, use a quick/manual release to release the pressure. Immediately add the eggs to an ice-water bath (be careful, they're hot) and let them cool. Peel and eat or store in the fridge unpeeled until ready to use. Note that the cook time will depend on the size of your eggs and how old they are, as well as your preferences. If you like your eggs really gooey, cook for 3 minutes instead of 4. If you like them especially hard-cooked, cook for 9-10 minutes. Homemade yogurt may seem like a pipe dream, but yogurt makers take away the guesswork and literally turn milk and starter into yogurt while you sleep. One feature available with most Instant Pots is the yogurt function, which essentially functions as a yogurt maker, saving you valuable kitchen space. Using our Homemade Plain Yogurt recipe, we've perfected the process using a multi-cooker. Add as little as a quart or as much as a gallon of milk to the inner pot. Whole, low-fat or skim will work, with whole making the thickest yogurt. Secure the lid; select Yogurt, adjust to the Boil setting and press Start (exact buttons and settings may vary depending on your model). Stir frequently, scraping the bottom to prevent scorching, until the Instant Pot beeps that the Boil sequence is complete. The goal is to bring the milk up to 180°F, and we highly recommend that you use a candy thermometer to confirm that your milk is hot enough. If not, turn on the Sauté function to low and, stirring constantly, heat until the milk reaches 180°. Let the milk cool to 110°F, stirring occasionally to prevent a film from forming on top. To speed up this process, place the inner pot in an ice bath, being careful not to let it tip over and watching carefully to make sure the milk reaches the right temperature. Add about 1 cup of the warm milk to plain yogurt or starter with active cultures. If you're making a quart, use 1/4 cup yogurt or starter; for 1/2 gallon, use 1/2 cup yogurt or starter, and for 1 gallon use 1 cup yogurt or starter. You can use leftover homemade yogurt from your last batch. Mix together and add to the inner pot with the warm milk and stir. Dry the pot well if you used an ice bath and add it back to the Instant Pot. Secure the lid and select the Yogurt function, adjusting to the incubate setting. The default is 8 hours, and can be left overnight. Afterwards, place the whole inner pot in the fridge for at least 2 hours before adding to storage containers or straining with cheesecloth for Greek yogurt. 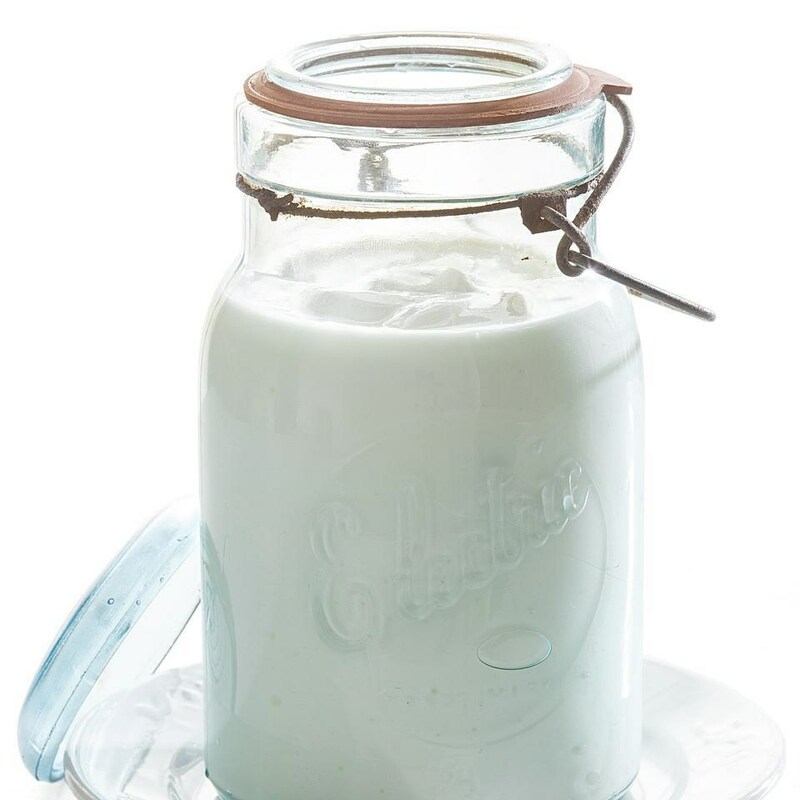 Homemade yogurt will last for 2 weeks in your fridge. We all know whole grains are good for us. They're packed with heart-healthy fiber, B vitamins and minerals, and they have more flavor and texture than their processed counterparts. But whole grains often take a long time to cook, requiring forethought that many of us can't muster on a weekday. Luckily, the Instant Pot cuts down dramatically on the cook time for grains like wheat berries, farro, spelt and wild rice. All of which are perfect for adding to bowls, salads and soups. 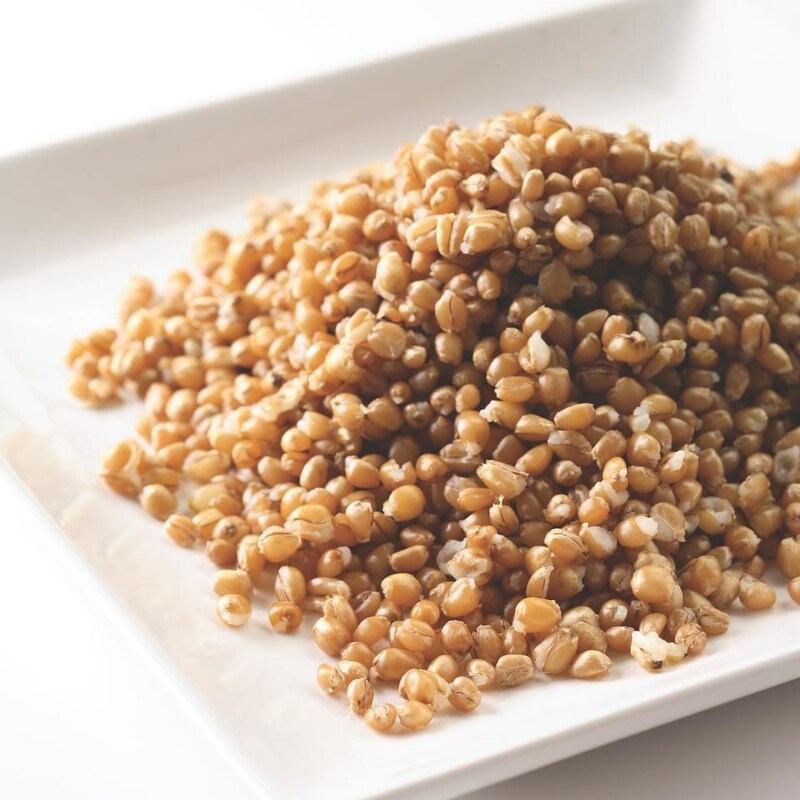 To make wheat berries in the Instant Pot, follow our tried-and-true recipe with a few tweaks. Add the wheat berries, water and a drizzle of neutral oil (to reduce foaming) to the inner pot. Secure the lid and cook for 40 minutes on high pressure and use a natural release. For extra-flavorful grains, replace some of the liquid with broth or stock, and don't forget to add seasoning after draining. Risotto is, hands-down, one of the best things you can make in the Instant Pot. It saves you oodles of time spent standing over a hot stove and stirring, turning the decadent dish into an all-the-time affair. It's perfect for a dinner party, because you won't miss spending time with your guests while still serving a piping-hot main dish. Add all the wine (still using the Sauté setting) and let the alcohol cook off for 3 to 5 minutes. Turn off the Sauté function; add all the broth and stir, then secure the lid. Cook at high pressure for 7 minutes and use a natural release. Once the pressure has released, stir vigorously until creamy. Proceed with the recipe as written and top with roasted or sautéed veggies and/or meat. 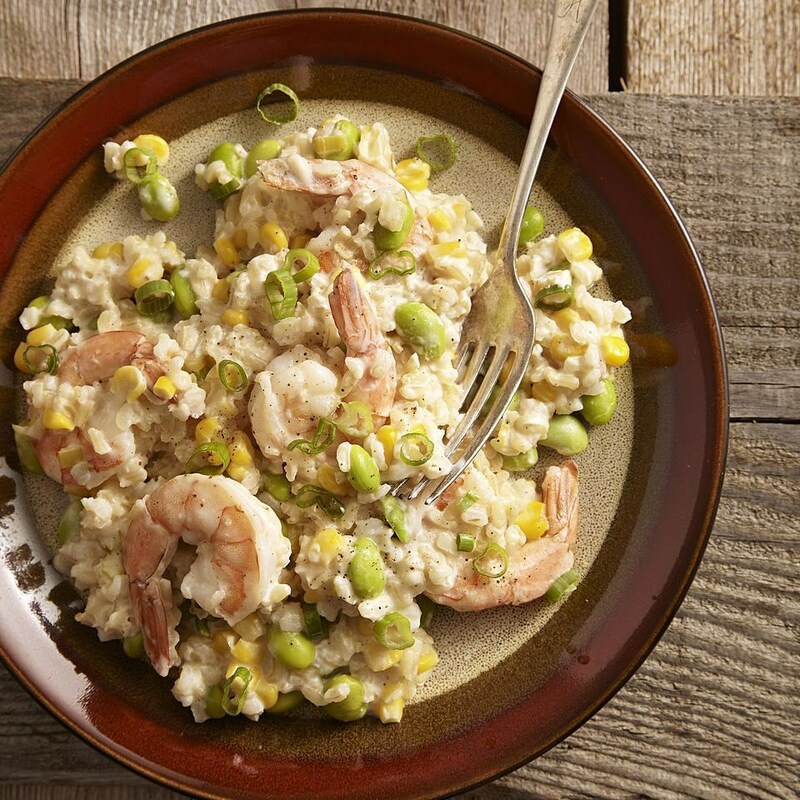 Try a classic combo like Asparagus & Mushroom, a Green version with spinach and basil, or a light and flavorful Shrimp, Corn & Edamame Risotto.